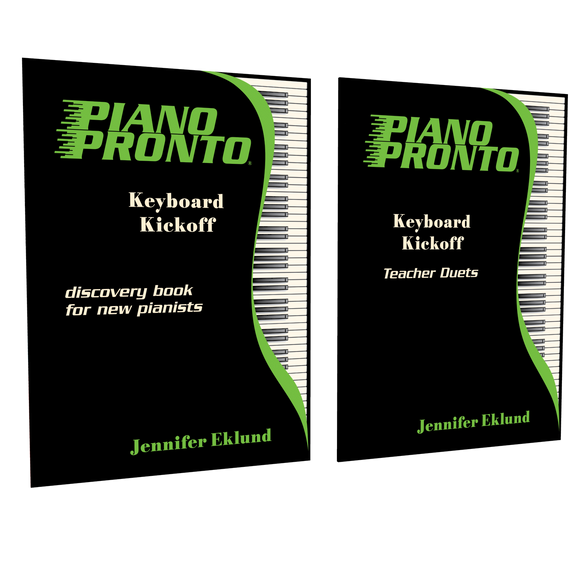 Keyboard Kickoff Essentials includes a copy of the Keyboard Kickoff method book and the teacher duet parts. Music and materials by Jennifer Eklund. Buying this as a set is a MUST! 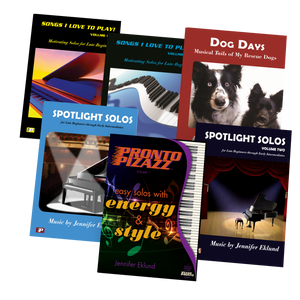 These duets are contemporary and fresh, and right from the first lesson students are learning how to play with a dependable sense of rhythm. 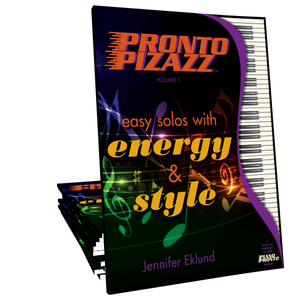 I love quickly playing through their current 3 favorites at the beginning of each lesson - a great review, warmup and ensemble practice in the span of a few minutes!